Japan is one of the most technologically advanced countries on earth. But when it comes to their treatment of trans people they are still firmly stuck in the 20th century. Law 111 — passed in 2003 — requires any person wishing to transition and be legally recognized as their preferred gender to undergo forced sterilization. Since 2004, around 3,000 trans men and women have been forced to relinquish control of their bodies — all so they could be their true selves. These procedures are not necessary for any medical reason, rather the Japanese Ministry of Justice offensively says it is to avoid confusion. Law 111 has been widely panned by several human rights organizations including the UN and the World Health Organization and it needs to be updated. 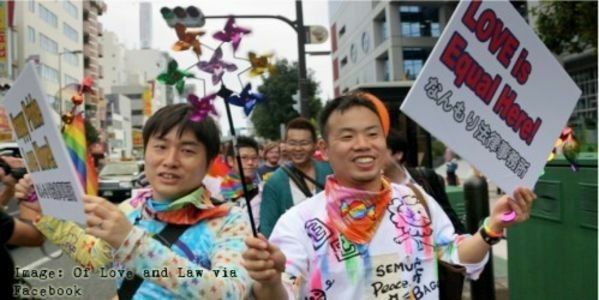 Please join in the fight for LGBTQ rights in Japan. Sign the petition and tell the government that forced sterilization must become a thing of the past. Tell them to revise Law 111.